The £325,000 Project for Velcol Ltd comprised of 125 No. 450mm Dia. 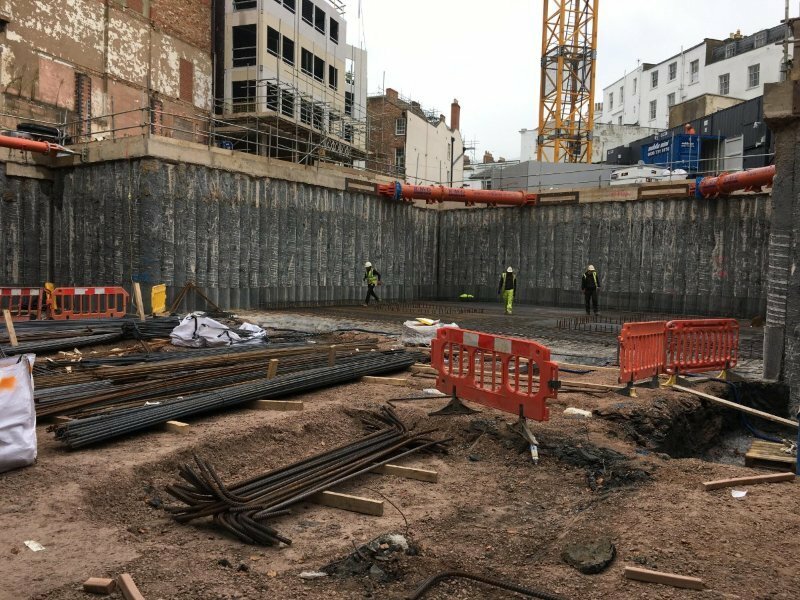 CFA Bearing Piles and 121 Linear Metres of hard/firm secant bored pile wall for a new 2-storey basement. 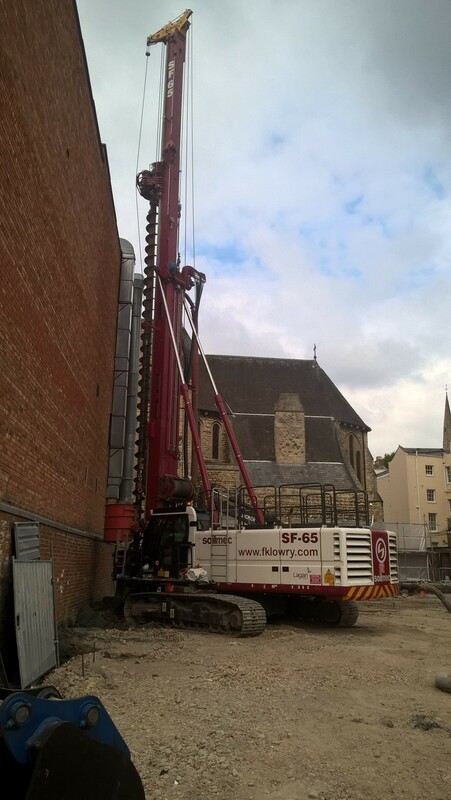 FK Lowry designed and installed the bearing Piles to cater for axial loads of up to 600kN with tensions loads up to 150kN. 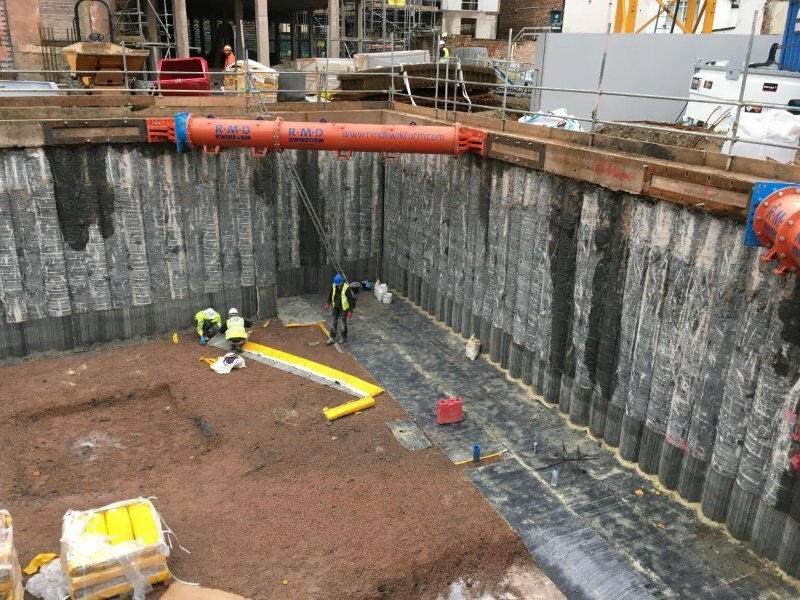 The Secant Bored Pile Wall had a retained height of up to 5.5m and was designed to be propped in the temporary and permanent conditions. 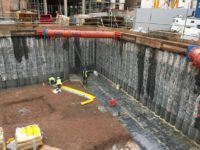 Ground Conditions across the site consisted of Made Ground overlying medium dense Sands before firm to stiff Clays were encountered. The site was further underlain by Mudstone at depth.